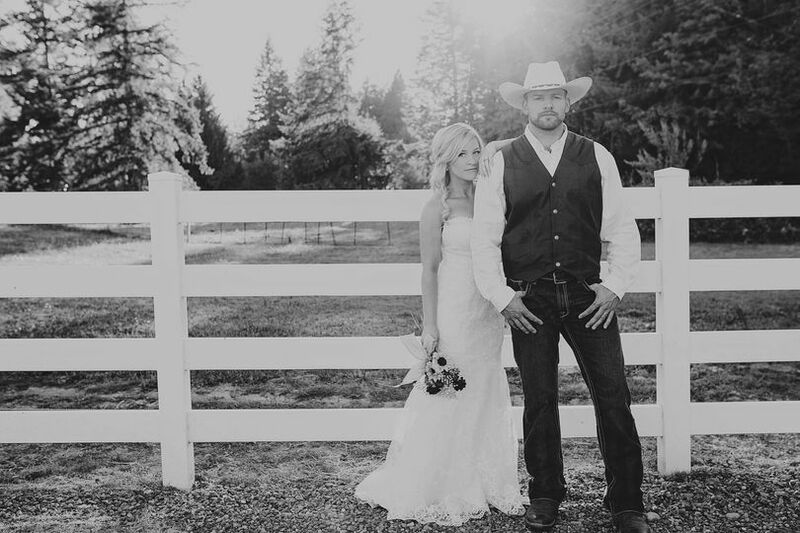 Copper Gables Barn is a rustic, historic wedding venue located in downtown Roy, Washington. The barn is located in the city and is close to several hotels and other amenities. 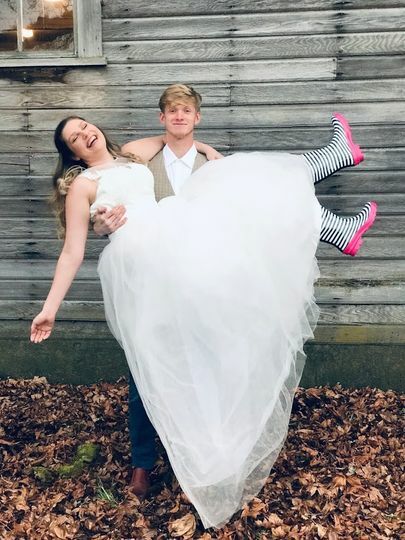 It is five minutes from Yelm/McKenna,10 minutes from Joint Base Lewis-McChord, 20 minutes from Spanaway, and just a 30-minute drive from Olympia. 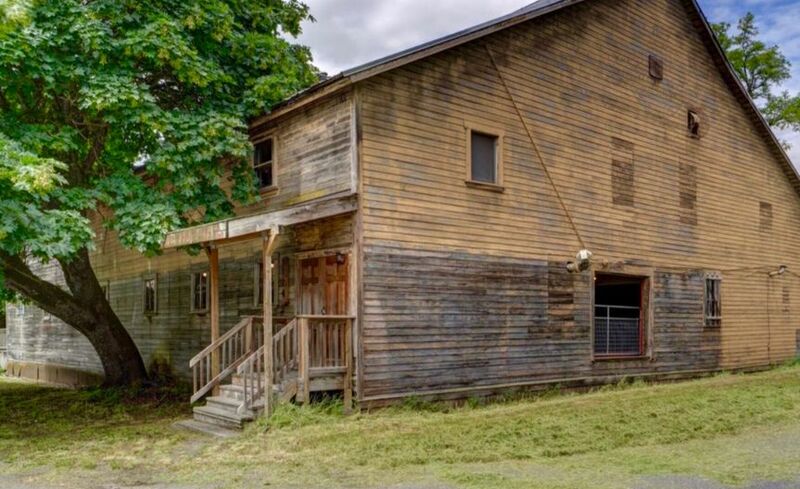 The two-story barn covers a total of 10,000 square feet and was built in 1915. The upper level of Copper Gables is 5,000 square feet and can seat up to 200 guests. 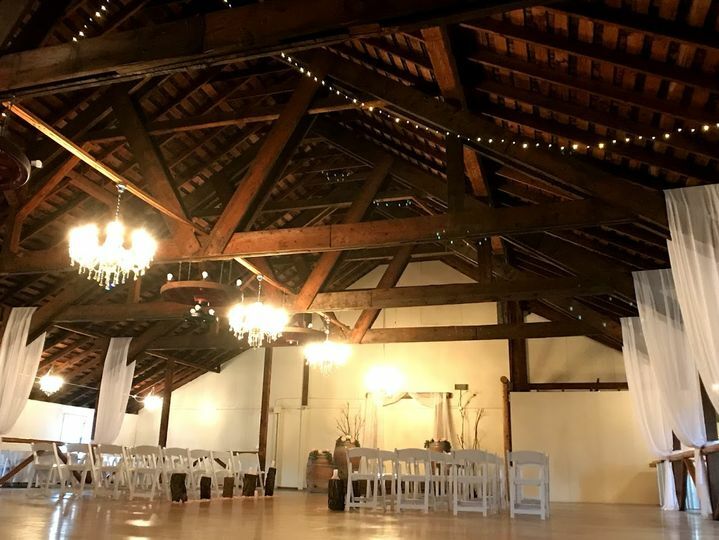 It features 26-foot timber and beam ceilings, a lighted stage, an altar, a wooden dance floor, a custom bar, and a coat check area. 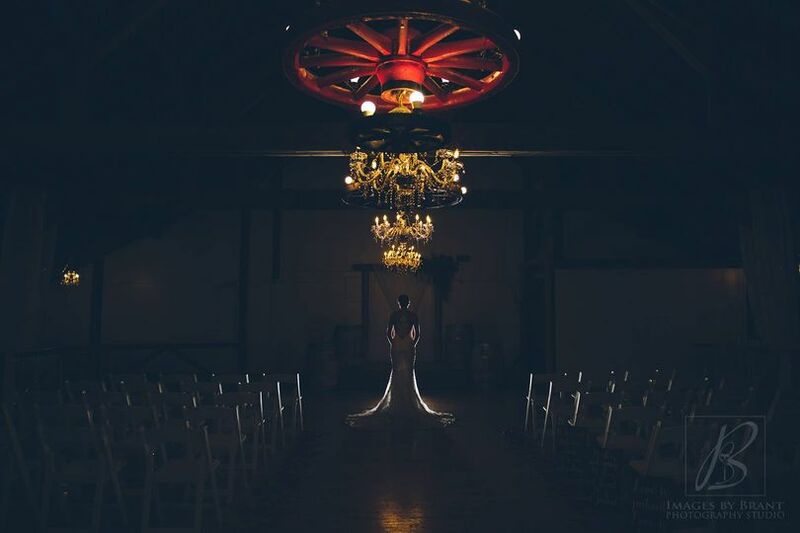 Additionally there are 20 crystal chandeliers and three vintage wagon wheel lights that can be used with the chandeliers or alone for lighting options. 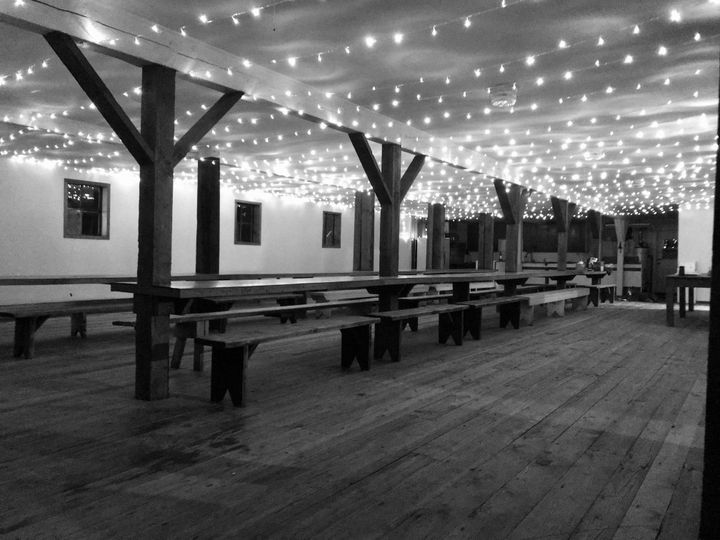 The lower area has bench seating and built-in wood tables that can seat 100 people for a smaller reception or event. You can also bring in more tables to seat up to 200 guests. 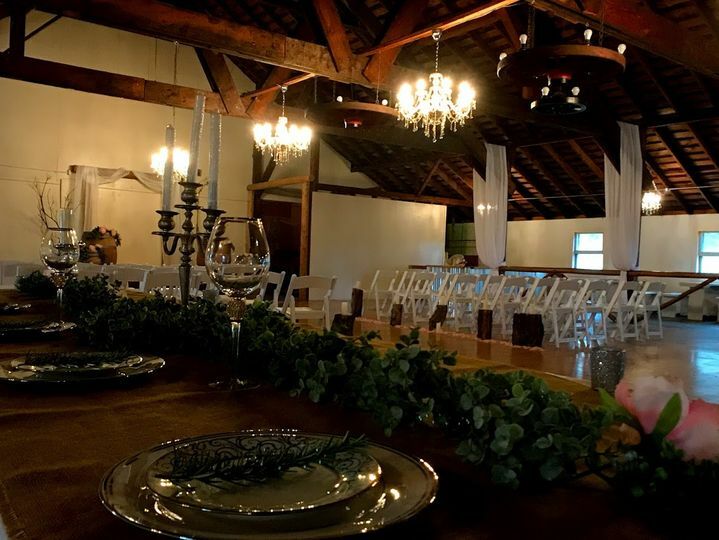 This part of the venue has a full kitchen, restrooms, a bridal suite, and refrigeration for your desserts and food storage. 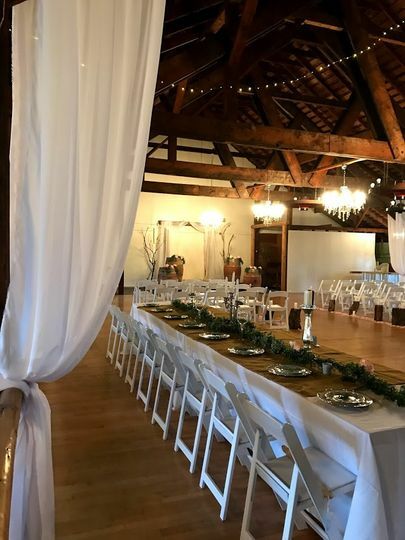 Copper Gables Barn has a large covered deck for you to enjoy the outdoors no matter the weather and a gorgeous 100-year-old oak tree that is picturesque. The barn was originally built as the H.L. Wolf Feet & Implement Warehouse. It has also served as a general store, the local Roy post office in 1934, and beginning in 1956, a dance hall for the Roy Rodeo. 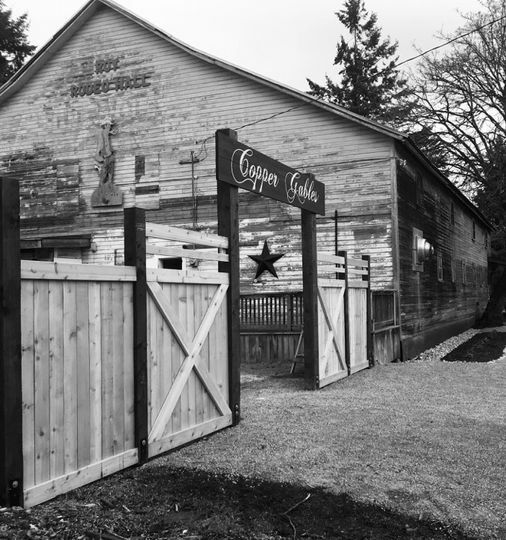 Copper Gables Barn is full of history at more than a century old and was recently added to the Washington Historic Register. I want to hire them. One more tour to satisfy my fiancé. 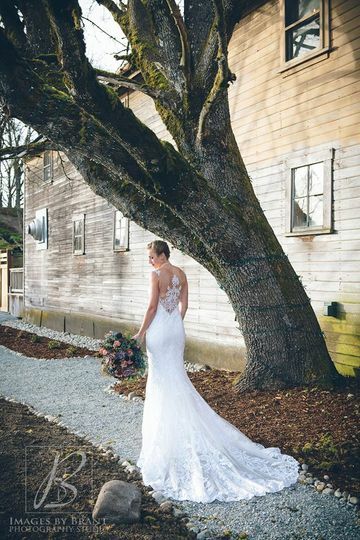 The price is affordable and it is a lovely venue!